Diyar Al Muharraq, one of the leading urban developers in Bahrain, said its chief financial officer Subhas Chandra won two major awards at the Mena CFO Awards held recently in Dubai, UAE. 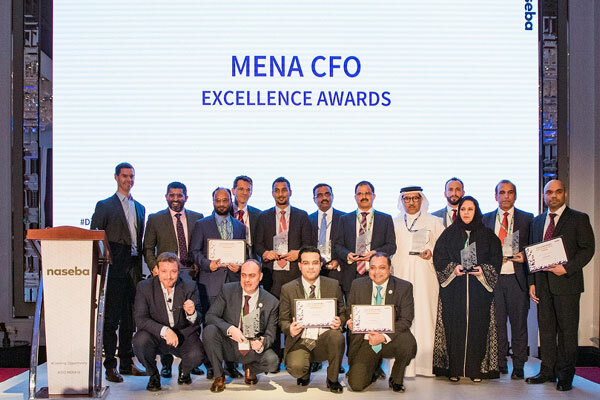 The Mena CFO Awards were organised by Naseba as part of the two-day CFO Strategies Forum Mena at the Taj Hotel which was attended by over 200 leading chief financial officers in the region. The event celebrated the accomplishments of these personalities in their respective fields by honouring them with illustrious awards spanning six substantial categories. Chandra had an extraordinary showing at the awards, both earning the title of ‘Finance Professional of the Year’ and ranking second in the ‘Revolutionary CFO of the Year’ category, capping a strong year for the finance professional. The award is given after going through nominations invited from Mena CFO from across the public and private sectors. The Jury then selects the honourees after a rigorous evaluation process. Speaking on the occasion, Diyar Al Muharraq CEO Dr Maher Al Shaer said: "We are immensely pleased to celebrate the success attained by Chandra, at the Mena CFO Awards. "This achievement reflects Diyar Al Muharraq’s keenness to invest in the growth and professional expertise of its personnel in all its departments, and rather than rest on our laurels, these recognitions only inspire us to exceed our current standards and achieve an even higher level of creativity and productivity," said an elated Dr Al Shaer. "We would like to express our sincere gratitude and deep appreciation for all the efforts made by our esteemed colleague in achieving this great distinction among his peers in the region, as we proudly embrace his success as our own," he added. On the spectacular win, Chandra said: "It is a great honour to be given the opportunity to represent both myself and Diyar Al Muharraq at the renowned Mena CFO Awards, and to be recognised in not one, but two categories amongst a group of my peers that make up the most accomplished finance professionals in the region."